Planning a vacation, short or longer, always takes time and effort. In the hope that we can help you with both, here are the freshest picks of our deal hunters. You can get The Gwen, a Luxury Collection Hotel in Chicago from only $119 and pay less through the beginning of September. You should also consider the all-inclusive Punta Cana getaway from $695 per person, the IVY Boutique Hotel in Chicago from $109 nightly, one way flights this spring nationwide with Virgin America for $79 and the other offers below. Hurry, such deals will sell out soon! 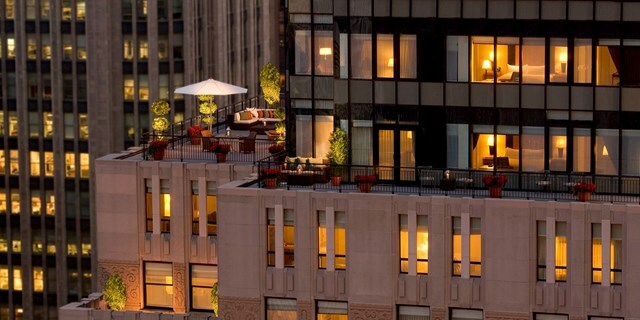 The Gwen is a 4.5 star AAA 4-Diamond hotel in central Chicago, located on Rush Street, close to the Magnificent Mile. You can stay in a Superior King or a Superior Double room for the featured price even on weekends. Holidays are also on sale but all sales include free Wi-fi, plus if you stay in April, you get daily continental breakfast, also for free. The Gwen, a Luxury Collection Hotel is pet freindly and features a fitness center, bar, rooftop terrace, restaurant and a lot more services. Just to be more certain that you’re making the right decision, choose some providers and compare them for some other Chicago hotels. This entry was posted on Wednesday, February 10th, 2016 at 9:03 am and is filed under Hotel Deals, Top Deals. You can follow any responses to this entry through the RSS 2.0 feed. You can leave a response, or trackback from your own site.